Man of the House is a comedy web series about an 8-year-old energetic, mischievous and kind-hearted kid named Victor, whose never ending schemes try to disrupt his mother’s love life. Originally from Goldsboro, North Carolina, Kameishia Wooten discovered her passion for filmmaking while studying pre-law at the University of North Carolina at Chapel Hill. After making a short film in a production class that was well received on campus, she realized her desire for storytelling and went on to pursue a MFA in Film Production from Columbia College Chicago. As a student, she interned with Academy Award winning documentary filmmaker, Barbara Trent, Lifetime Television Original Movies and State Street Pictures. Her thesis film, SOUTHERN CROSS, won several finalist awards and has screened in film festivals around the world, including Chicago International Children's Film Festival and The Emerging Filmmaker's Showcase at the Cannes Film Festival’s Short Film Corner. 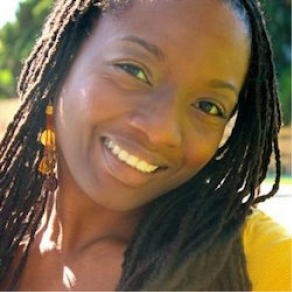 In 2008, Kameishia was selected as a finalist for the HBO/Chase Film Legacy Challenge for her short film treatment entitled “Birthday.” Kameishia has worked for entertainment companies such as Universal Pictures and Walt Disney Feature Animation. She has also held positions as a Screenwriting Professor and a Freelance Assistant Director on several independent films.